As the economy recovers, the stock market has soared, and investors are searching for places to put their money. 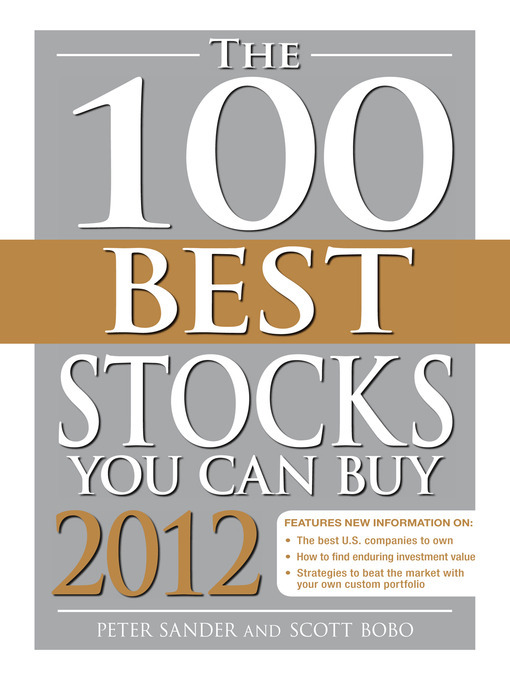 Continuing its tradition of beating the market average, The 100 Best Stocks You Can Buy 2012 reveals the recommended list of top 100 stocks smart investors should purchase in 2012. The newest edition includes suggestions about investing in nontraditional assets, such as gold and other precious metals, coins, art, wine, commodities, and hedge funds. Perfect for novice or experienced readers, this easily referenced volume remains an essential and trusted tool for building investment portfolios that yield returns all investors will love.